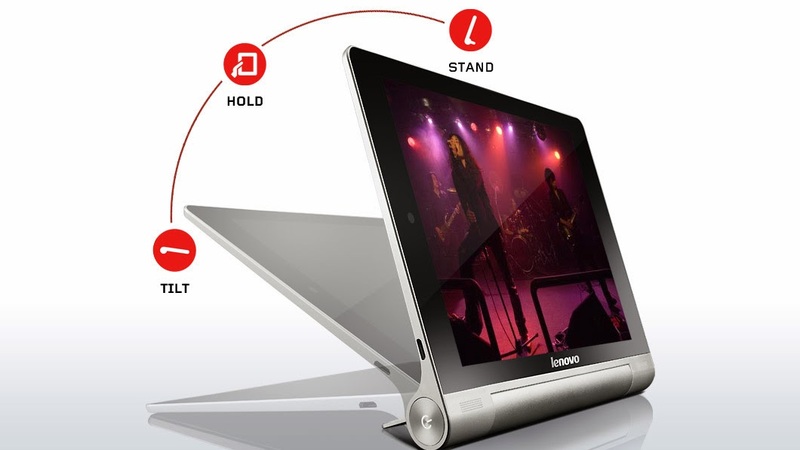 The Lenovo Yoga Tablet 8 is the perfect on-the-go tech gift this holiday season. I'm a big fan of the Lenovo IdeaPad Yoga 11S, so it was only natural that I'd love the new tablet. One of my favorite features which makes this tablet unique are the usage modes: Hold, Tilt and Stand. I love using the kickstand and resting it upright in Stand mode to watch videos or movies, catch up on tv episodes, and play Candy Crush. I can easily type using Tilt mode when updating my blog and social media channels or following up on emails. The Yoga Tablet 8 is so light (starts at 0.88 pounds) that it's perfect for toting around the city with me, even when I'm carrying all the extras like my DSLR or a pair of heels to change into. It's also a great backup device to have with me in case my phone runs out of battery. I don't have to worry about this tablet running out of battery because it lasts up to 18 hours, thanks to the roomy battery storage housed in the cylinder-shaped side chamber. This is the kind of tablet I need to bring with me to all day events, like Mercedes-Benz Fashion Week or Comic-Con. In addition to the sleek, stylish design, here are some key features of the Yoga Tablet 8: an 8" multitouch HD (1280 x 800) display for high definition visuals, front facing integrated stereo speakers with Dolby Digital Plus, 5.0M rear and 1.6M front cameras for high-definition pictures and crisp, clear video chats and Micro-USB and audio jack ports. Another plus is being able to expand the 16GB of eMMC storage with up to 64GB micro-SD card storage support, which comes in handy for transferring photos and videos or storing large files like movies. The Lenovo Yoga Tablet 8 is available at lenovo.com and bestbuy.com with a list price starting at $249.00.